For those looking for a reason to use ASP.NET MVC, I have the perfect post for you. Today, I cover the 10 reasons why now is a great time to use ASP.NET MVC. A reader recently asked me why I'm so focused on ASP.NET MVC and not any other technology. While I do feel comfortable writing web applications with ASP.NET MVC, I do look at other technologies and post about them on my site (like my interest in Aurelia) and how they relate and integrate into ASP.NET MVC. But why would you be interested in learning ASP.NET MVC? If you are already a developer of PHP or Java (or even .NET) or you are just interested in learning how to build web applications, this is probably the best time to get into ASP.NET MVC which is why I'm going to give you my top 10 reasons for using ASP.NET MVC. For those us WebForm users, this was always a large assembly that was always required to make a web application. If you decide to move towards the ASP.NET MVC Core 1.0, this brand new framework removes the Elvis-like, hunky System.Web library (3MB assembly footprint), making it faster to load an ASP.NET web site and appeasing the Google Monster. ASP.NET MVC 5 is dead...Love Live ASP.NET MVC 5. Recently, .NET was completely rewritten and renamed (ASP.NET Core 1.0). This makes a developer's life even easier. Instead of the development cycle of writing code, compiling, and testing the functionality, they eliminated the middle man (compiling). This makes the development process faster and it provides quick feedback to developers in Visual Studio. Since ASP.NET runs on IIS and it's one of the most popular web servers on the web, this makes ASP.NET MVC a natural fit. Most corporations started with IIS back in the day with Classic ASP. Today, IIS servers make up 28% of the entire Internet (https://trends.builtwith.com/web-server) to be behind only Apache and nginx. Anyone can now see the code. If you want to expand on the View and create your own ViewEngine, examine the code at Github to find out how they did it. Source code galore to make your imagination run wild! Yes, it's true. You can now code web applications using an Apple, Linux, or Windows platform. "We Ain't In Visual Studio Any More!" ASP.NET MVC was a breath of fresh air for most Microsoft web developers. It took us into a new web era and moved us away from WebForms (am I harping on that too much? ;-)). Since then, a lot of developers are behind MVC 110%. Heck, if you are reading this, my blog is one of them. Out of the box, ASP.NET MVC is unit testable. Making your code unit-testable provides a certain checks-and-balances. To some WebForm developers, this was a new concept. It was difficult to test some UI and business components. With ASP.NET MVC, you can easily test all of your components and have a strong piece of mind that everything works as coded when it ships. As I mentioned in a Quora answer, the future of Microsoft web developers is a bright path indeed. Since this was a quick post about where and why to start using ASP.NET MVC, I thought I could provide some additional material regarding where to go from here. Subscribe to my newsletter since I talk about all things ASP.NET with Mobile and Responsive Design. 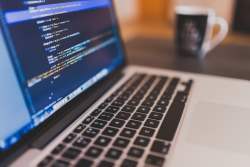 Read an ASP.NET MVC beginner's tutorial that I wrote for Udemy.com . If you have any more reasons or just like the post, throw me a comment below.